So, you’re wondering: What’s the big deal about Instagram for business? And how to use Instagram for business purposes? 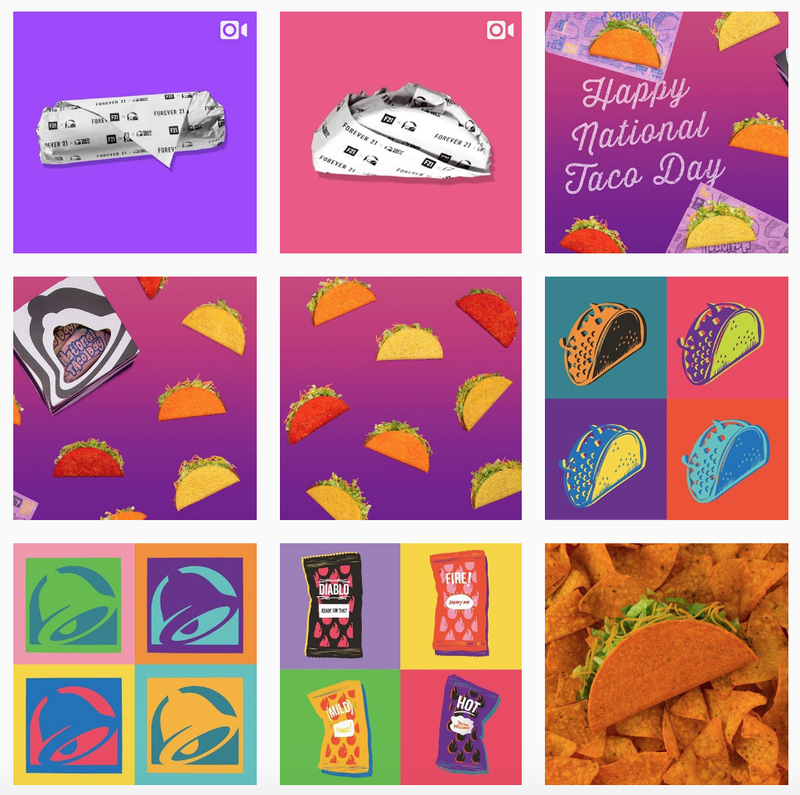 With so many other marketing tools out there—from content marketing to email marketing to pay-per-click advertising to all of the other social media networks—why do you need to add Instagram to your plate? We get it—marketing your brand and business requires a lot of time, effort, and elbow grease, and it’s tempting to roll your eyes at the thought of needing to implement yet another tactic. But, here’s the thing: If you aren’t already leveraging Instagram as part of your brand’s overall marketing strategy, you absolutely should be. Let’s dive straight into our ‘How to Use Instagram for Business’ playbook. You’ll find no shortage of Instagram statistics that further prove why Instagram can be so effective for marketing. With over 800 million monthly active users, there’s a huge audience ready and waiting to hear more about what your brand brings to the table. Over 60% of those users log in daily, making it the second most engaged network behind Facebook. Not so fast. There’s plenty of other research that supports the fact that Instagram is effective in gaining followers for your brand. In fact, 80% of all Instagram users follow at least one business account. Think those followers won’t convert and actually move the needle for your business? Spoiler alert: You’re wrong again. A reported 75% of Instagram users take action after viewing an advertising post on the platform—such as visiting a brand’s website. And, even further, 30% of users have actually purchased a product that they discovered on Instagram. So, in short, you won’t just find fans and followers on the platform—you’ll acquire new customers. Grab our ebook Instagram for Business to take your Instagram game up a notch! Pretty convincing stuff, right? With that in mind, lets cover everything you need to know to successfully leverage Instagram as a marketing tool for your own brand. RELATED: Go ahead and sink your teeth into even more juicy Instagram statistics. Before you dive right in with marketing on Instagram, you have a choice to make: Should you get a business account or stick with a personal one? There’s quite a bit of confusion between Instagram business and personal accounts, so let’s clear up some of the details first and foremost. An Instagram business account is a specialized type of account that distinguishes you as a business (rather than an individual) to your followers. 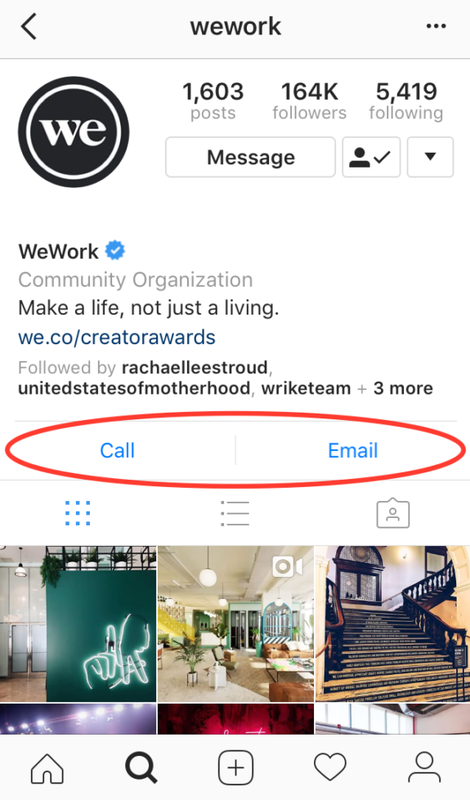 The quickest way to identify a business account is by looking for “call” or “email” buttons like the ones below—that’s a feature that’s only available with business accounts. Contact Buttons: Like the links pictured above, you can give users the option to immediately get in touch with you. It’s a handy feature, particularly when you’re otherwise only allowed one link in your Instagram bio. Advertisements: In order to run ads on Instagram (more on those later in this post!) you’ll need to have a business account. Individual Instagram accounts can’t run ads. Analytics: A business account will also give you some insights into things like the demographics of your followers, best times for engagement, and how your posts are performing. If you think there’s a hefty price tag associated with those additional features, think again. The Instagram for business cost is nothing. Of course, you’ll need to foot the bill for any ads you choose to run. But, the account itself is totally free. What’s the downside? There’s really only one: Some people have complained that Instagram’s algorithm is programmed to encourage brands to purchase advertisements. This means that switching to a business account might result in a dip in your engagement—although, nothing definitive has ever been concluded. Ultimately, you’re the only one who can decide which account is the best way forward for your business. Regardless of which type you decide to go with, Instagram will still be an incredibly powerful tool in your marketing arsenal. So now, let’s roll up our sleeves and get to work on growing your following, solidifying your brand, and winning you more customers. RELATED: Still can’t decide which option is best for you? Check out some Instagram business profile pros and cons. You’re convinced that Instagram can be an effective tool for your business. But, all of that still doesn’t really answer the question of how to use Instagram for marketing. Fortunately, we have a step-by-step guide and some various Instagram for business best practices that you can use to get your brand up and running on Instagram. 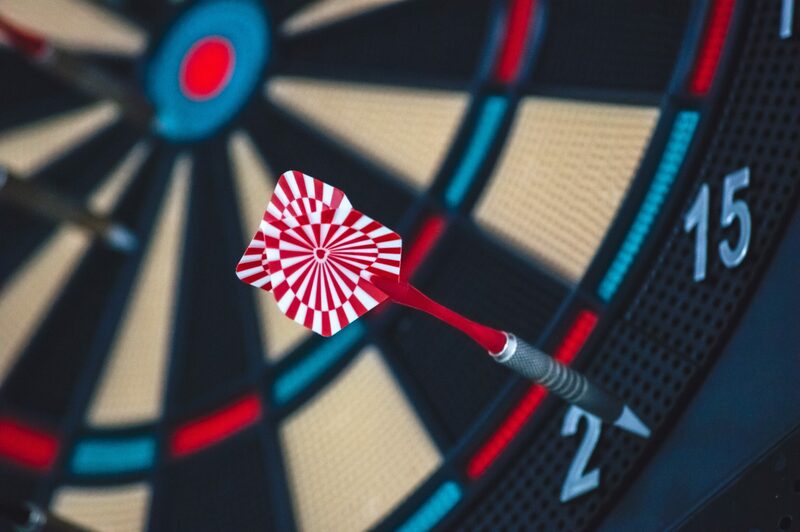 The first step in your Instagram marketing strategy (or, really, any marketing strategy in general) should be understanding the audience that you’re hoping to target. Zoning in on a specific following isn’t much of a concern when you’re just posting for fun personally. But, when you’re utilizing Instagram for your brand, you need to know exactly who you’re speaking to through your Instagram content. Why? Well, having a solid grasp of your audience’s demographics, interests, and values will help you craft a content strategy that really resonates with them while still capturing your unique brand. If you already have some ideal customer profiles built out for your marketing efforts, those can just as easily apply to Instagram. But, if not, you’ll want to take the time to sit down and think through exactly what your target customer looks like—everything from basic demographic information to what their goals and challenges are. Be forewarned that Instagram’s audience does skew slightly younger (25.2% of users are between the ages of 25 and 34), making it a great outlet to talk to that age range in particular. However, don’t let that limit you. Instead, think of the people that you most want to target with your posts, and then go from there. RELATED: Our complete guide to marketing on Instagram does a deep dive into understanding your audience. Before you fall down the rabbit hole of all of those seemingly perfect Instagram business ideas, it’s smart to focus your efforts by setting some goals. Start by asking yourself this one straightforward question: What are you hoping to accomplish with your brand’s Instagram account? Much like with any social network, it’s easy to get wrapped up in the metrics and only focus on getting your follower count to increase. However, that’s when it’s important to step back and remind yourself of your end game (which probably doesn’t involve a large, yet totally disengaged, following). That barely scratches the surface—there are so many different Instagram-related goals you could set. That’s why it’s best to choose one objective (or a couple, if you’re feeling ambitious), and then make sure all of your Instagram efforts push you in that direction. Of all of the Instagram marketing secrets that are out there, there’s one that you simply can’t afford to skip over: creating a defined strategy for your Instagram account. Like with any other marketing campaign or initiative you tackle, having a strategy in place will both hold you accountable and ensure that your Instagram account is actually moving you forward in regards to your objective—you just need to follow the roadmap that you laid out. How often do you intend to post? What type of content do you plan to post? What brand elements—from colors to typography—will you incorporate? What voice will you use for your captions? Who will be in charge of posting to Instagram? Clarifying questions like those will help you plan out a detailed enough strategy that actually helps you—rather than confuses you. When sorting out your strategy, there’s one other important thing to keep in mind: Like so many other social networks, consistency is key on Instagram. To attract and retain followers, you need to show that you’re active in that space. Research shows that posting five times per week is a great place to get started. Think that sounds tough to manage? Fortunately, Sked Social (formerly Schedugram) can help you stick with your posting schedule—without any stress or headaches. RELATED: We have a post that dives into the nitty-gritty of developing your own Instagram strategy. The bulk of how you represent your brand on Instagram will be done in the various photos that you post to your account. But, for those who choose to visit your actual profile and find out more about your brand? They’re going to check out your bio—which means you’re going to need a strong one. Think of your Instagram bio as the elevator pitch for your brand. In just a few short lines, it summarizes who your business is, what it does, and why it matters. The most important thing to ask yourself when crafting your bio is this: What do you most want users and prospective new followers to know about your brand? Whatever that answer is, make sure it’s clearly showcased within your bio. By leveraging an impactful bio along with the other Instagram marketing tips for business that we’ve already touched on, you’re sure to make an impression on Instagram users—and, hopefully, convert them into loyal customers. RELATED: Curious about what else it takes to write a killer Instagram bio? Our guide breaks it all down. Of course, Instagram is an incredibly visual platform, which means that the most successful and highly-followed accounts are the ones that are aesthetically pleasing. They showcase gorgeous images and a cohesive look. Achieving that standard for your own brand can feel impossible—particularly if you don’t consider yourself to have strengths in design or photography. But, creating a solid Instagram aesthetic really all comes down to effective planning. The sooner you can iron out exactly what you want your feed to look like, the easier it’ll be to craft posts that complement your overall strategy. Here’s the best place to start: Sit down with a notepad and list out the different adjectives that you would like to be associated with your brand. Do you want to be seen as sleek and minimalistic? Bright and colorful? Driven and adventurous? Coming up with those adjectives will naturally lead you to some different visual elements that you could incorporate in your visual aesthetic. Once you’ve settled on a look? Another one of the smartest Instagram tips and tricks for business is to create a style guide—including everything from filters and fonts to colors and themes—that you can use when posting to your Instagram feed. Taking that step will ensure that you keep things consistent, which is important when you’re aiming to hone a certain aesthetic. RELATED: This only scratches the surface of how to use Instagram for business! Find out even more about creating an Instagram aesthetic for your brand. When learning how to use Instagram for business or personal, mastering your hashtag game is a vital part of it all! When getting started with marketing on Instagram, there’s another question that many people are faced with: How do they get new users to find them? Sure, it’s great to engage with your current followers and customers. But, how can you get new eyeballs on your brand and your content? There are tons of Instagram marketing tips for business out there that promise to increase your following. But, one of the smartest is to always use hashtags with your posts. By using hashtags on your Instagram posts, you’re making your individual photos searchable by that specific term. When users look at all posts that are tagged “#MondayMotivation,” for example, yours would show up there. If people like what they see? They might just click over to your account to find out more. 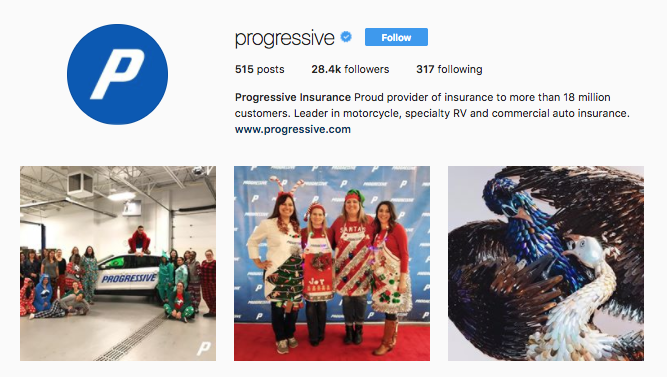 In addition to getting your brand in front of new users, hashtags also make your Instagram posts far more engaging for your existing followers. In fact, posts with at least one hashtag get 12.6% more engagement than posts without. When it comes to the optimal number to include, many experts assert that 11 hashtags with each post is a good number to shoot for. Scope Out Your Competitors: What hashtags are they using with their own posts? Check Out Influencers in Your Industry: Influencers are often ahead of the curve. Are there certain hashtags you’re seeing crop up again and again? Use Instagram’s Search Function: Simply type in a keyword and you’ll immediately see hashtags and posts that are incorporating that keyword. RELATED: Want even more advice on how to use Instagram for business? Check out our guide to using the right Instagram hashtags. Instagram is a social network—the operative word there is social. It’s not a platform for constant one-way broadcasting of your message. You need to plan to interact and engage with your followers. Responding to Comments: When someone leaves a friendly note on your post, make sure to write back! Commenting and Liking on Other Posts: Whether they’re posts from influencers or other businesses in your industry, get out there and proactively interact with other accounts. Creating a Branded Hashtag: When users tag their own posts with that term, you’ll easily be able to find them and interact. Utilizing Instagram Live: With the ability to answer questions in real time, it’s an incredibly engaging feature. Hosting an Instagram Contest: Everybody loves to win, which makes contests an effective way to pull more interaction out of your audience. Regardless of which specific tactics you choose to implement, the important thing to remember is that you need to converse and interact—rather than just post. Set aside some time each week that you can dedicate to engagement. Having that designated time to respond to comments, comment on other posts, and have friendly exchanges with other users will go a long way in boosting your Instagram reputation. RELATED: Discover even more ways to increase your Instagram engagement. Finally, when it comes to learning how to use Instagram for business, it’s tough to beat the power of advertising on Instagram. As mentioned earlier, this is one of the perks of having a business account: You can only run Instagram ads if you have a business account (as opposed to an individual one) and a Facebook page. Photo Ads: Share your message with a simple, beautiful photo. Video Ads: Include sound and motion, as opposed to just a still photo. Carousel Ads: Users can swipe through a series of photos or videos. Stories Ads: Advertisements that appear in the “Instagram Stories” section of the platform. Again, Instagram’s algorithm seems to push brands in the direction of purchasing advertisements. That’s frustrating. But, fortunately, advertising on Instagram can be effective. Much like with Facebook, businesses can zero in and target customers based on demographics, behaviors, and interests—meaning you can show your advertisements to people who are most likely to be interested in them (and, thus, more likely to click through to your profile). There’s no denying the power of Instagram when it comes to marketing your business. But, when it seems like there’s so much involved, getting started can be intimidating. But don’t let this deter you from jumping right into our guide on how to use Instagram for Business. That’s why this comprehensive guide comes in so handy. Use it to lead your own Instagram marketing efforts, and you’re sure to leverage Instagram to solidify your brand, engage your audience, and win new customers. Now that you know how to use Instagram for business, why not start carving out hours in your social media workflow by signing up for Sked’s 7-day trial. Our all-in-one Instagram scheduler allows you to automatically post images, carousels, Stories, videos and more. Tag locations, users and products and manage all your hashtags in one place to save 5+ hours every week. Kat Boogaard is a freelance writer, who writes for Sked Social about marketing strategy. She's a compulsive organiser with a penchant for dogs and tacos – in that order.